Andrew's songs and arrangements capture the mystery of faith. Choirs and congregations around the world have sung Andrew's lyrical, thoughtful, and playful compositions. Purchase digital sheet music (PDF files) and introduce these timeless songs to your own community. Choose a license for the number of people who will receive a printed or digital copy of the PDF file. All payments are handled securely through PayPal, but there's no need to create an account. Just choose "Pay with Credit Card". After paying, you MUST click the "Return to Merchant" button to print or save the PDF file you purchased. Written for a search for hymns about music, this poem is set to AVE VIRGO VIRGINEM. It echoes language from the psalms, with contemporary references. Its imagery is also inspired by Daniel Levitan's book This is Your Brain on Music, and the documentaries Amandla! a Revolution in Four-Part Harmony and Young at Heart. Important note: after paying, you must click the "Return to Merchant" button to print or save the PDF you purchased. The reading of the Genesis account of creation is brought to musical life, involving the congregation with a refrain (“And there was evening, and there was morning...”) and instrumental accompaniment. Instrumentalists improvise from a musical framework. We found this an accessible and exciting way to introduce the joy and discipline of improvisation to young or beginning players. Use in worship: Processional, Call to worship, Sung Psalm (Psalm 42 is a lectionary reading for Year C), anthem with congregational refrain. The refrain may be used as a psalm Antiphon, as it appears in The Book of Psalms. At the heart of many psalms is a turning point, a change from deep soul-trouble to joy. This song, based on Psalm 42 (43), portrays this change with a haunting melody in the verses, and a driving, dance-like refrain. This is a song written for the community at Beaches Presbyterian Church in Toronto. We mostly used it as an anthem, but it can also be a congregational song, particularly effective when the choir (or a soloist) sings the verses, and the people sing the refrain. The refrain alone can be used as an antiphon for Psalm 42 and 43. Parts:Sung psalm (contemporary chant style) with congregational refrain: solo Cantor, four-part harmonization on refrain, with piano. Optional intro and outtro. The urgency of the refrain, “Better take shelter in the Holy One,” is expressed by its short, repeated phrasing, syncopated rhythm and by the clash of the melody against the harmony. Written for an arts and worship conference, the heart of this song is that moment in Mark’s gospel (Ch. 4) where Jesus uses a boat as a pulpit. To me, this is also the essence of artistic play: to transform common objects - paint, stone, sound, movement, rhythm - to grab hold of us, tell a story, probe a nerve, evoke an emotion, teach us to look at our world differently. This song invites us to Jesus’ kind of meal, radically inclusive and generous, where he "transforms a table to a door, to open wide in welcome in his name." The one who saw the heavens torn apart, And knew God’s kingdom close at hand, Says, bring your skill, your craft, your art: Come learn of me to fish on dry land. “Feuilles-O” is a traditional Haitian song about a sick child, invoking the healing power of “feuilles”: leaves. I think it probably came to North America through the folk scene in New York in the 1960’s. Like many folk songs, it has been sung to lament or protest social or political situations. I wrote this arrangement, and added a “Kyrie eleison” text during the time of the devastating earthquake in Haiti in 2010 to offer as a sung prayer. A number of hymns were written in response to the earthquake, mostly to standard European hymn tunes. My approach was, let’s respond to this Haitian crisis by singing a Haitian song. “Kyrie eleison,” “Lord, have mercy” seemed an appropriate text. I added “Sauvez-moi la vie, O Jésus, je vous prie” (Save my life, O Jesus, I pray), partly in response to news reports that showed people singing hymns as they waited for help. I would have liked to be present, a fly on a wall, or a kid sitting on a window ledge, when the Apostle Paul was engaged in debate with one of his contemporaries. He was clearly a master dialectician. He may have been thinking of Isaiah 29:14 he took the accusation of the foolishness of the Christian gospel, and turned it on its head to counter his opponents. The arrangement is a straight-forward piano/vocal, but it can be done in a folk, country or bluegrass style. A collaboration with Rev. Diane J. Strickland. Go with peace to the world. and the Spirit who will never leave you. This melodic, mysterious setting can be sung either on its own, or in a liturgy. The melody moves like a chant tune, but given urgency and drive by its rhythmic motifs. It can be sung by a congregation, but is also harmonized for choir. This prayer addresses God, but raises a clear call to human responsibility in the work of forgiving and reconciling, and for collaborating with God to wage peace and make justice. This new text for the tune NICEA is soulful and festive; a celebration and a meditation on the Trinity. It is offered especially for congregations looking to enrich their singing of the Holy Trinity beyond the images of the original text. Inspired by the ancient poet quoted by the apostle Paul in Acts 17, it evokes the mystery and awe of God's Spirit surrounding us, and the Word and Wisdom of God living among us. Separate trumpet, trombone and tenor saxophone parts available. Please contact Andrew. A bilingual (French/English) arrangement of the old French carol with congregation/audience participation. This medium-difficulty arrangement is meant for those wonderful Christmas season sing-along concerts and hymn festivals. The audience joins the choir in French on refrains. This setting captures some of the spirit of old French carols: by turns charming, mystical, rustic, elegant, reverent and merry -like the season itself. And yes, there are some shepherds’ bagpipe moments. He is born! Now the child has come. hope is born, for the child has come. I arranged Gordon Light's song about Mary's gift of letting her son go. Part of this 5-verse song can be sung early in the church year - during Epiphany, for example - and then the whole song at Easter. This arrangement gives each section of the choir its moment to portray poignancy, pain and joy in telling Mary’s story. This arrangement keeps the syncopated folk/pop feel of the original Common Cup song, its dramatic and emotional moments gently underscored in the harmonization. Mary's song is here presented as a joyful Latin-and Caribbean-infused dance song, up-tempo and infectious. An insistent, tuneful bass pattern underscores her strength and determination, and the steel pans sparkle with her joy. A fragment of a chant tune, traditionally associated with the Magnificat text, recalls God's promise to Sarah and Abraham. The song ends with the joyful opening refrain, sung by soloist, choir and congregation - and the steel pans have the last word. Psalm 85 is a compact, eloquent and powerful evocation of our longing for God’s justice and peace. I thought the words should have some Canadian touches, so there is a nod to Leonard Cohen in one of the lines. Kudos (but no prize) if you find it. The original song, “Jesous Ahatonhia “ (“Jesus is born”) was composed by French Jesuit Father Jean de Brébeuf, missionary among the Huron/Wendat people in the 17th century. It is often said that it is based on “Une Jeune Pucelle,” but I think its roots are rather in the tradition of such chant-based carols or processionals as PICARDIE (“Let all mortal flesh keep silent”) or VENI EMMANUEL (“Oh come, Oh come, Emmanuel”). Themes: God’s providence is active, even though we might not always see it. 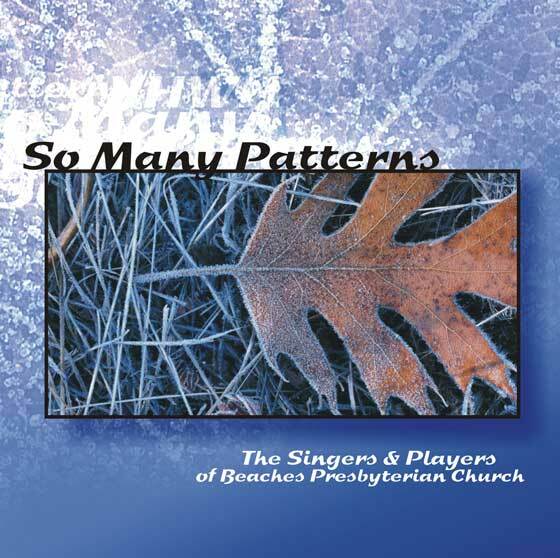 This is a Celtic-style arrangement for congregational singing. Think “Great Big Sea” Newfoundland folk. 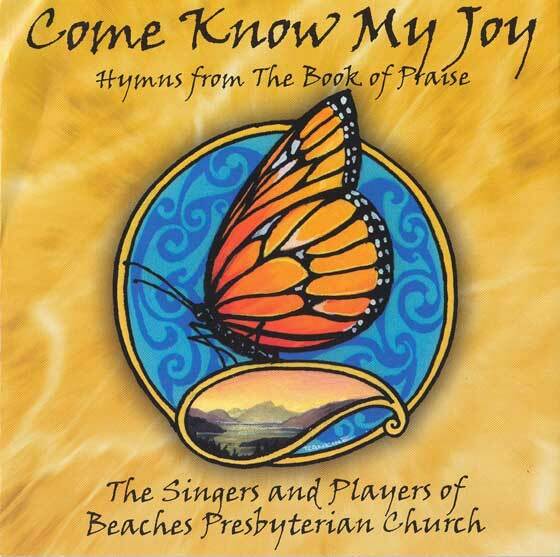 It is a good hymn for praise band accompaniment, particularly with a 12-string guitar strum as its rhythmic drive. A rollicking re-telling of Jesus’ entry into Jerusalem. Jesus’ peace-march was a mocking, prophetic counterpoint to Pilate and his security forces entering the troubled city before Passover. This song provides a good way of involving children in the story beyond waving palm branches. Have Jesus with the donkey come down one aisle, and Pilate with soldiers coming down another. Especially effective with a papier-mâché donkey head. The original song is a classic Canadian folk song: it’s based on the Scottish tune “Heilan’ Laddie” and emigrated to Canada where it put down roots and became a decidedly different tree. “Holy Dove, light upon us.” Lilting and rhythmic, tender and fierce, this song from Madagascar rejoices in God’s embracing Spirit. It tells us to turn away from lies, and warns us not to cling to possessions. We learned it from a Malagasy community in Geneva when I was working with the World Council of Churches. This gentle, flowing arrangement of Gordon Light's "She Comes Sailing on the Wind" has taken on a life of its own. The Spirit-like flute solo that floats through the piece could be played by any other sustaining instrument. This piece soars when you adapt to fit your community's musical gifts. See below for a call-and-response commissioning litany to accompany the piece in worship. Spoken litany for "She Flies On"
This evocative and affirming text commissions the community for the ongoing work of the Spirit, interwoven with Gordon Light's "She Flies On". See above for the SATB music. The original carol set the nativity story in its own time and place: a bright, starry, winter’s night in 19th century Austria. It evokes the holiness of this birth through stillness and quiet. My slow, gospel jazz setting draws out of the original melody earthiness and passion, evoking the sudden, surprising song of the angels, the shepherd’s fearful reaction, and the surge of joy as, against all odds, a miraculous child is born. Themes: Paraphrase of 1 Corinthians 1:12-26, Christian community as a body, diverse and united by one Spirit. Published in: Conference booklet of the Baptist Peace Fellowship, July 1999. This song is ideal for either a mixed choir to explore contemporary themes of the work for justice, or a pop/gospel group looking to enrich a repertoire of praise songs. 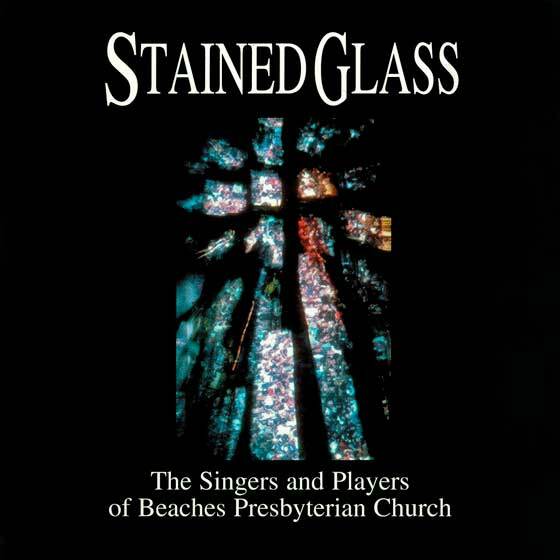 Written for the summer Peace Camp conference of the Baptist Peace Fellowship of North America in Vancouver, 1999, this blues/gospel song expresses both the struggles and the promise of waging peace. Its theme was “Building a Culture of Peace”. Parts:8787D hymn, with melody (NETTLETON). SATB settings available; contact Andrew for details. This is a hymn about the compelling, disturbing Jesus, the one between the words “born of the Virgin Mary” and “suffered under Pontius Pilate” in the Apostles Creed: the healer, story-teller and risk-taker. Many journeyed to adore you; some proclaimed you earthly Lord; yet you chose to live as servant: healer, teacher, living Word. Themes: Spirit, singing, joy, Alleluia! 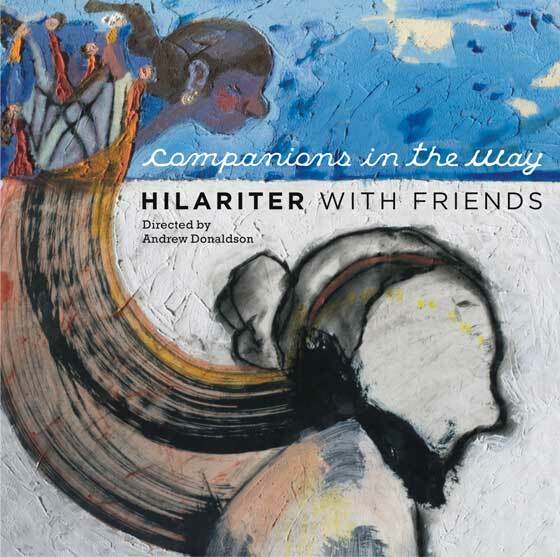 A lively going-out song featuring call-and-response and playful syncopated alleluias. It has been sung at weddings and graduations as well as at church services. It is a going-out song to get people out of their seats, a catchy, dancing recessional that sends them out exhilarated and energized. We have also sung this song at times of painful partings as a balm, as a reminder that we go with God and therefore there is joy. It can be easily taught in a call-and-response style, especially the two different alleluias in the middle section. The bridge is intended for choir and can be omitted, if desired. The song can be expanded with instrumental and vocal solos. This song started out as a four-handed improvisation with my daughter Hilary, at home on a visit from university. The little four-note melody stuck with both of us, and we started e-mailing lyrics back and forth. Why do the powerful have it so good? This is a psalm paraphrase in colloquial English to be recited rhythmically, with sung refrains by the congregation. It is best performed by a reader, or readers, who can speak dramatically and rhythmically. Serious in intent, it uses humour, sly pop culture references and shifts in tone to express in contemporary terms the ancient text. If your congregation loves drama, it can be performed as a series of short scenes, and can be read and sung as part of an interpretive dance. The music offers scope for instrumentalists to improvise, interacting with the reader, and for the congregation and choir to add echoes and ad-lib harmonies. Than whisper with the wicked. Set to a Quebecois chanson à répondre, this is a good way to engage the congregation - children and adults alike - in telling Luke’s funny and touching gospel story about the crooked, little man. This style of song comes alive when sung round-table style, with a leader and responding groups, as shown in the music. It then becomes like a short, sung play in which the whole congregation takes part. Can't find the piece you're looking for? Check out Andrew's songbooks or contact Andrew to commission a new work. Content copyright © Andrew Donaldson unless otherwise noted. All Rights Reserved. Top photo on this page copyright © Larry Williamson. Used with permission.